At the Utica-based Law Offices of Michael N. Kalil, we represent New York clients in contested family law matters, as well as out of State clients who have children here in New York. Our founding attorney has more than 25 years of family law experience. He is also an experienced divorce mediator. The modification of prior orders after a job loss or a planned move across the country to take a promotion or to be closer to family. Our law firm can help you through divorce in a timely and cost-effective manner. When it is not possible to reach a settlement in your case, we have the skill to take your case to court. The lawyer you hire can make the difference between the efficient resolution of your case and a drawn out battle. 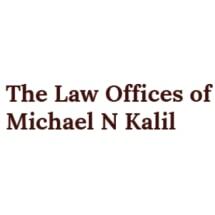 The amicable resolution of disputes is a cornerstone of our approach at the Law Offices of Michael N. Kalil. We encourage clients to consider collaborative law strategies. Especially where there are children involved, we understand that not only will the parents suffer when there is contentious litigation, but more importantly the children will forever be caught in the ongoing struggle created by the parents who chose "to do battle". To learn more about your legal options, call 315-797-1150 to schedule a free initial appointment.